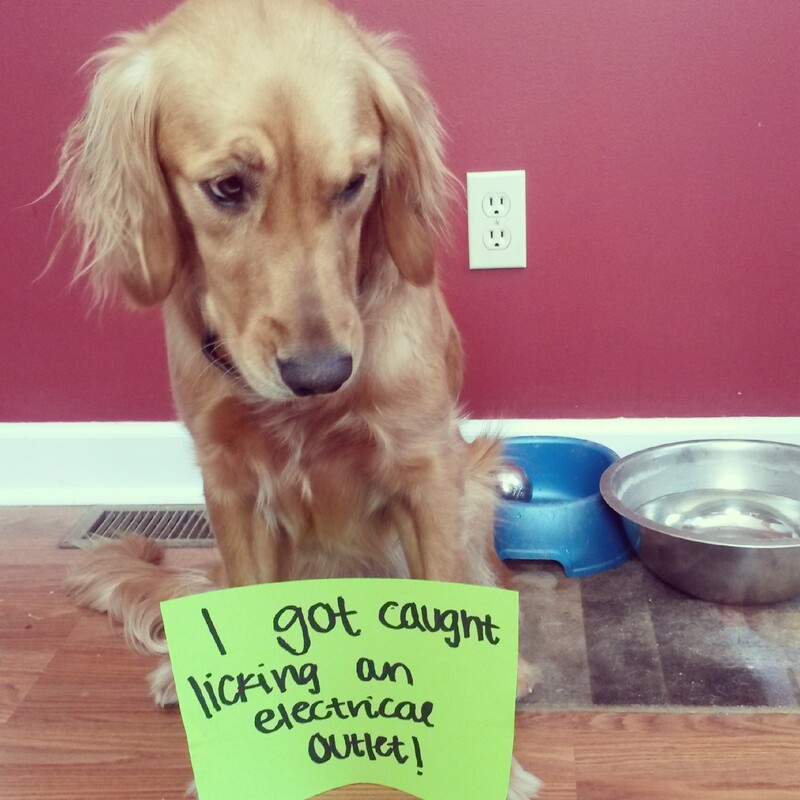 I got caught licking an electrical outlet! I like the “Shocked” look on his face. Well, that’s original! What a cutie. Time to get those plastic childproofing things for your outlets. I would move the food and water bowls to a further distance from the outlets. Or install a GFI outlet to protect your beautiful dog. Dogs are so much like kids.